Governor Tom Wolf announced that Pennsylvania has selected organizations to be on the Governor’s Census 2020 Complete Count Commission. The Commission will support the commonwealth’s efforts to achieve a complete and accurate census count. 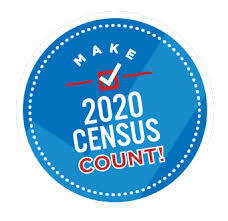 The next decennial census will be conducted on April 1, 2020. The Commission shall recommend methods and policies to facilitate the most complete and accurate census count in the year 2020, including implementing strategies to reach hard-to-count populations and hard-to-enumerate areas. There are far-reaching implications if Pennsylvania’s population is undercounted in 2020. If the data snapshot does not include all residents, the commonwealth could lose seats in Congress, receive billions of dollars less in federal funds for a variety of services and programs, and impact data used by the public and private sector. Norman Bristol Colón, of the Department of Community and Economic Development, will lead the Census 2020 Complete Count Commission as executive director.